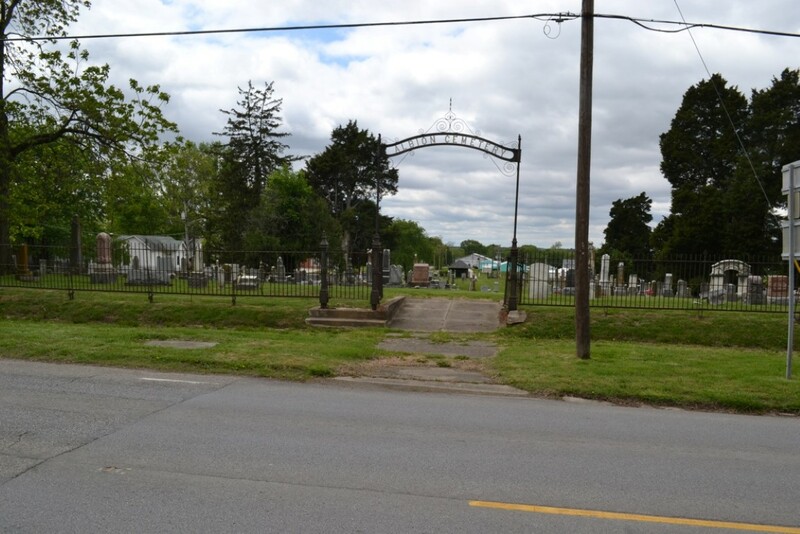 The Albion Cemetery was begun in the early 1820s. It was originally one acre in size, but it gradually grew until it now covers almost four acres. Graceland Cemetery, at the east edge of Albion, was begun in 1897. After that time, fewer burials were made in the Old Albion Cemetery. Also, after Graceland Cemetery was begun, some people who were originally buried in Old Albion Cemetery were exhumed and re‐interred in Graceland Cemetery. Interred in the Old Albion Cemetery are many of the pioneer settlers of The English Settlement. Each one played an important part in its success. One of the more notable persons buried in this cemetery is William Pickering. He was married to Mary Katherine Flower of the Flower family which helped found The English Settlement. Pickering was a personal friend and a political ally of Abraham Lincoln. After Lincoln was elected President, he appointed Pickering as Governor of the Washington Territory, in which position he served from 1862 to 1866. Sadly, over the years, the weather has taken its toll on many of the grave markers, wearing away the inscriptions on many of the markers made of sandstone, marble, and other soft stones. In sharp contrast, there are a few grave markers near the southwest corner of the cemetery which are made of whetstone. The inscriptions on those stones are still very clear and readable. Many years ago, the inscriptions on the then‐legible grave markers in this cemetery were transcribed and have been published by the Edwards County Historical Society. Gazing over the grave markers in the cemetery, one is reminded that death is the great equalizer. It matters not his wealth or station in life. The hour comes, death claims him and his soul’s encasement of flesh and bone becomes, in time, assimilated with Mother Earth from which it sprung. In the grave, at last, everyone is equal. 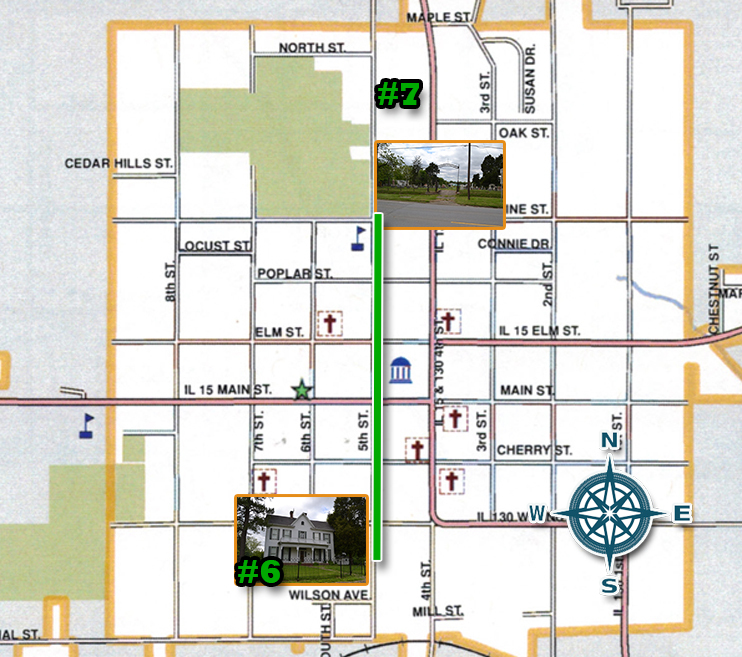 From the cemetery, travel back south on Fifth Street to Main Street and right right (west). 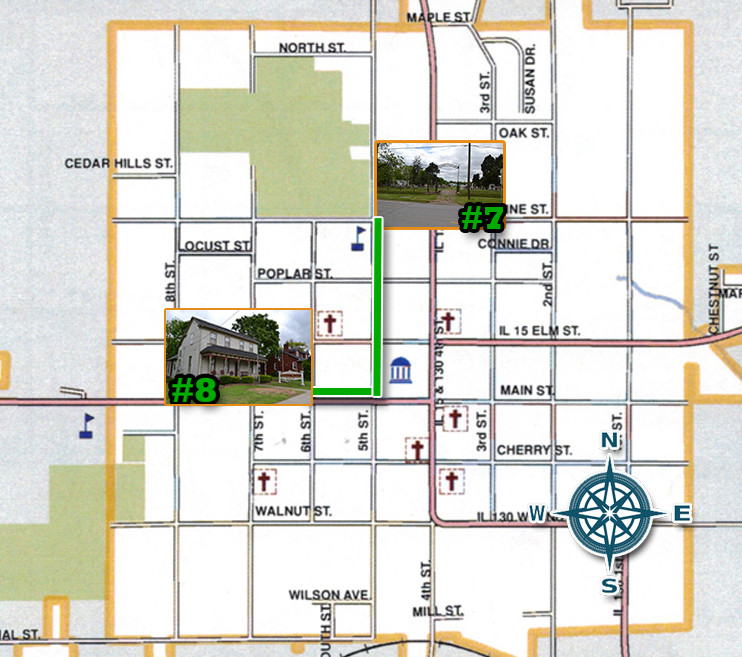 Three blocks down, on the north side, is the Edwards County Historical Museum, which is located mid-block on the north side. It can be reached through special appointments, though the Historical Society meets each Thursday evening.